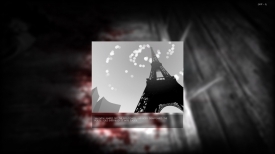 "A nice looking and intriguing ambient psychological horror game." 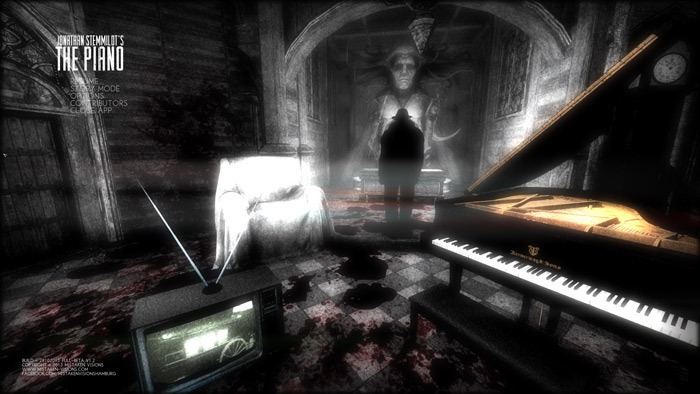 The Piano is an ambient horror game, like a visual novel but with more interaction than normal but the story is linear and unchangeable, you play as a lonely French man who is stuck in some sort of decaying church, you get glimpses of outside where the weather is grey and glum as you discover your story, you were the untalented brother in a family of four brothers the other three were successful pianists but they still looked after you and cared for you, until within the space of a few days they all died, one had a heart attack, another was shot in the street and the third jumped from the Eiffel Tower, which is when accusations were flung at you and you were accused of murdering all three of your brothers which forced you in to a depression and made you a recluse to the world. In the game you discover more about your past as you explore the church and other areas, the game has a lot of potential and looks really good although there is a few bugs and glitches and the voice on the opening introduction scene which is trying to sound creepy but speaks in such a weird slow voice that it is really kind of off putting and you find yourself just wanting it to talk faster so that you can get on with the game but that aside The Piano is a great looking psychological horror game that clearly has had a lot of time and effort put in to developing it. You can download the full game here for free.